Charter Bus Clearwater, FL. Clearwater Bus Service Rental of Pinellas County, Florida offers the Tampa Bay area cheap ground transportation and airport shuttle service to Saint Petersburg-Clearwater International Airport (PIE) and Tampa International Airport (TIA) and provides high quality door-to-door service in luxury charter buses or coach buses designed to fit your travel needs in Clearwater. From the busier neighborhoods next door in St. Petersburg to the docking bays of Tampa, where cruise transfers are met, to the Buccaneer Bay Waterpark and all over the greater southwest metro area, Price 4 Limo's Clearwater Bus Service will get you and your family where they need to be. Maybe you just got off the plane and crave an American breakfast at before being entertained by live music in the area or get some salt water sea food at Crabby's Beachwalk Bar & Grill before sipping a cool beer at Clear Sky Beachside Cafe– with a full view of the beach you will need a Shuttle service, or a bus rental in Clearwater, Florida that can accommodate all your needs without you having to worry about driving and traffic and parking. Just tell us where you want to go and we'll take you there! Preview Clearwater Party Bus and Limo Fleet. Bus Services in Clearwater can help you go sightseeing or fish watching at the Clearwater Marine Aquarium and provide ground transportation to the Muriel Winery, where you can sample some of the best wines Florida has to offer. Take a charter bus with your family or tour group to see a romantic sunset at Pier 60 before turning in for the night. Whatever you've planned, you will need top-notch transportation or VIP charter bus service in Clearwater, Florida so you can fully enjoy yourself and not worry about driving in traffic or looking for parking. If you want to relax and be treated like a star -you need a cheap Shuttle bus rental or limo rental in Clearwater, Pinellas County Florida from Price 4 Limo. 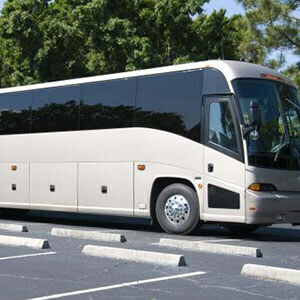 Whether you want shuttle service or VIP mini-coach bus to your hotel, or want to impress colleagues as you arrive at the golf club, or simply go on a well-earned shopping spree– you're going to need local Clearwater Bus Service so you can rent a driver-for-hire and bus and get the comfort and relaxation you deserve. Let us worry about the road and gas and parking. We providethe best and cheapest ground transportation and bus service in Clearwater, Florida -- saving you time and money. There are so many things to do in Clearwater and we offer offers rides to golf clubs, restaurants, nightclubs, and theme parks all over. Have a Sweet 16 and need transportation to the beach? No problem, Clearwater Bus Service offers VIP charter Shuttle buses fully equipped with stereos and full – surround sound speakers to make the Shuttle on the road more enjoyable. Contact Price4Limo.com and find out about all we have to offer, every detail, right down to your specific need or special event. Price4Limo's Clearwater Bus Service Rental has the largest fleet of Coach buses, VIP Shuttles in the entire Tampa Bay area. Bar-hoppers and the Shuttling crowd love to be seen in any of our Shuttle buses. For weddings, sweet 16, scavenger hunts, and graduations – we can provide charter buses in Pinellas County, Florida for any reason. To get optimum service from Sebastian Shuttle Bus & Limo service, we encourage you to arrange your travel in advance by filling out your info on Price4Limo – the best place to book your Shuttle Bus rental in Clearwater, Florida.